The “capital of the north” Akureyri, the waterfall Godafoss and the area around Myvatn are some of Iceland’s most famous tourist attractions. These and other destinations can be easily reached from our Hamragil holiday home. Our last article dealt with three of the most famous waterfalls in northern Iceland: Godafoss, Aldeyjarfoss and Dettifoss. But there is much more to discover. Mývatn means as much as “mosquito lake”. The name of the lake also stands for the whole region. Lake Mývatn is about 50 kilometres south of Húsavík and can be reached from our holiday home Hamragil in less than an hour by car. It is known for the high number of different duck species. Ornithologists will find optimal research conditions here. The shallow depth of the lake and the hot springs that feed the lake underground are the cause of the numerous insects and birds that feed on the insects. 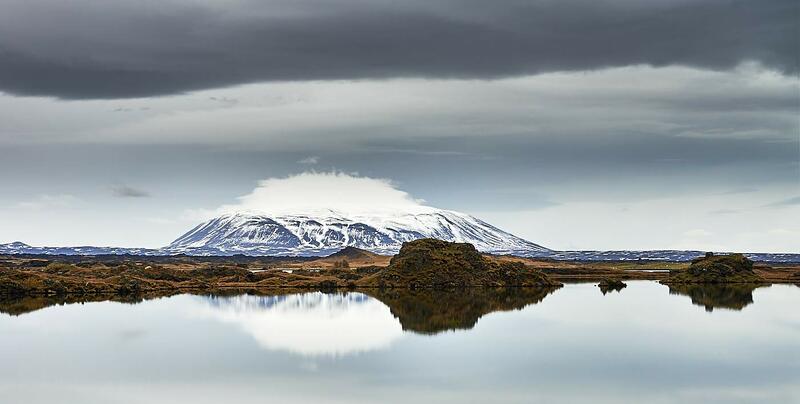 Due to the underground hot springs, Lake Myvatn does not freeze up in some places even in winter. Bird lovers will get their money’s worth at Lake Mývatn. However, the main attraction for most visitors is the volcanic landscape. 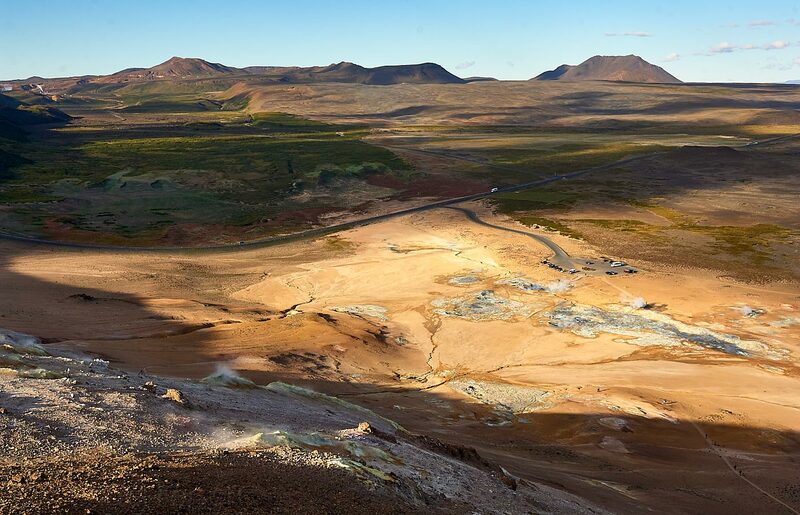 A variety of lava formations characterize the area, which originate from the approximately 40 km long volcanic system of the central volcano Krafla which was last time active in 1983. 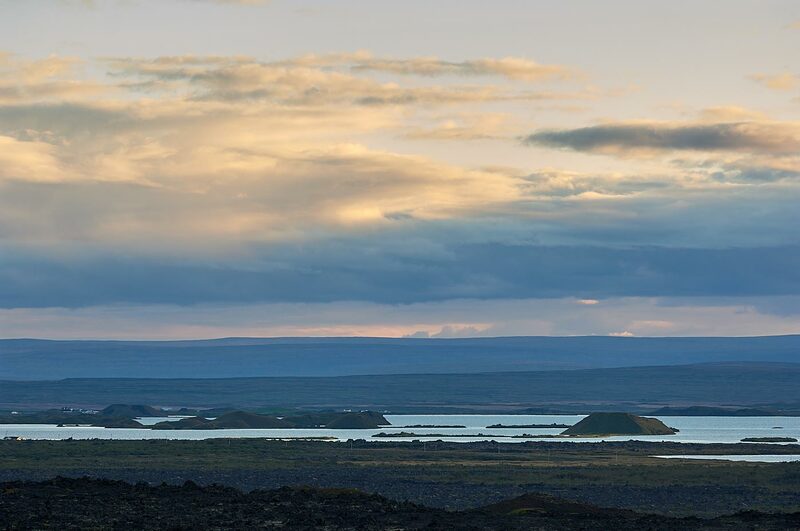 In the Mývatn lake itself you can see on islands or peninsula the pseudocraters of Skútustaðir, which were created by explosions when water meets lava. Along Lake Myvatn, for example, the explosion crater Hverfjall, tuff formations, bathing caves and rows of craters are evidence of volcanic origin. Those who find the Blue Lagoon in southern Iceland too overcrowded and too expensive have the opportunity to get their money’s worth in the area around Myvatn. In the thermal spa Jarðböð everything is a little smaller, a little less crowded and cheaper. The water is as beautiful as in the Blue Lagoon, the view of Lake Myvatn is incomparable. The volcanism below the pass Námaskarð (means as much as “Minenpass”) is particularly obvious. 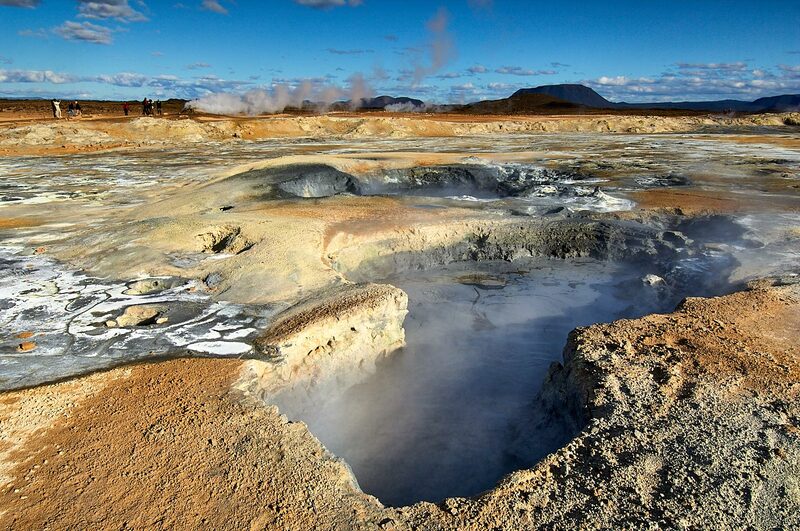 In the high temperature area of Hverarönd (usually called Námaskarð) you can not only see, but also hear and even smell the activities of volcanism. The area is located a few kilometres north of Lake Myvatn below Mount Námafjall. A visit to the numerous mud pots, fumaroles and solfatars is a must. Dirty shoes are pre-programmed here, because the earth here is warm, soft and often greasy.